It was a bone-chillingly cold January day on the peninsula. It had snowed overnight, but when I woke up it was raining and I had trouble getting up the hill I live on because of all the icy slop and had to let work know I couldn’t get there until the plow came through. Once I got to work, I dug in. So much to do. We always have music playing in the background in our office, and on this day I heard a song I fell in love with while I lived in England so many years ago. I immediately fell in love with that song when I first heard it on the radio back in January 1978, and bought the album. I don’t have that album today, but I am determined to get it now that I’ve heard the song again. I should add that the song does not have the magic it had for me 40-some years ago, but it felt so good to hear it again. I had forgotten how that thing worked on me back then. 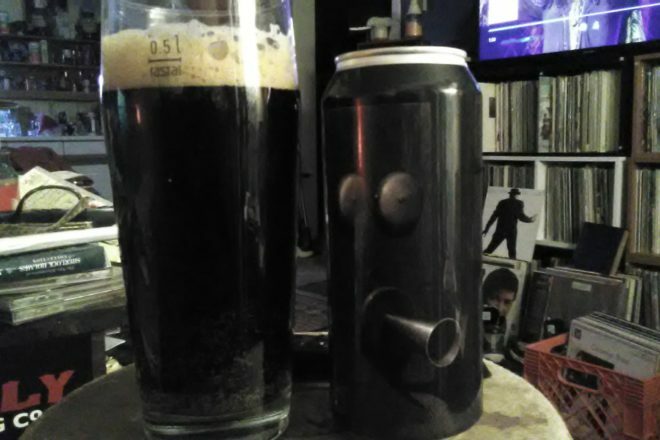 And, so, I get home that night, reach into the magic fridge and pull out a 16-ounce can of Stranger Than Fiction Porter from Collective Arts Brewing of Hamilton, Canada. I’ve come home, I’m so cold. Yes, thrak! Stranger than fiction!